Working closely with our clients and relying heavily on technology, checklists and systems we have developed; we deliver quality and consistent results every time, ensuring every client is pleased with our work. Our clients understand success is defining their goals. They may be proprietorships, partnerships or incorporated. We help businesses still in their infancy stage right through to maturity. We handle everything from registering the business to incorporating, from obtaining business numbers to filing information returns, and from personal taxes to corporate taxes. We have extensive experience with QuickBooks Desktop and QuickBooks Online allowing us to service clients across Canada and into the United States. Although we can provide customized programs, typically our clients select one of the following plans as a starting point. Our Sleep Easy Plan® handles all compliance and government related matters. There is no need to deal with the government anymore. Our clients go to bed at night knowing deadlines, returns, and support work are being handled 100%. This provides our clients valuable time to work on their business and not in it. Our Thinking of the Future Plan® builds on the compliance and government work by helping with budgeting, cash flow and tax planning. Successful business owners know that specific goals must be stated, key success factors created, and systems established to quickly monitor progress. As important, determining what changes are needed when things slip off course. Our Living the Dream Plan® completes the circle. Our clients have already turned over the mundane compliance deadline and filing work. They’re successfully monitoring profits, cashflow, and taxes against their plan. They are now considering estate and succession planning. This program helps them determine where they want to be at a certain point in their life. The ultimate goal here is for our clients to use their business as a means to an end. We ensure our clients pay the least amount of taxes so they can keep more for themselves. Our clients take comfort knowing the tax return is the starting point. They want it done accurately, reviewed to make sure no tax saving opportunities and credits are missed, and that advice will be provided to save them taxes down the road. They love the fact we handle CRA’s initial requests for information. Further satisfaction is reached when they call mid-year with questions after life changing events or in anticipation of these changes and we’re here to take their call. Our personal tax clients have complex returns that may include businesses, rental properties, and farms. Our All-In Plan® uses proven systems developed and perfected over the past twenty years. We miss nothing. We specialize in clients with ties to the United States. For some, it’s as easy as filing an initial tax return in Canada after immigrating from the U.S. For those resident in the States, it may mean reporting business, rental, or employment income earned in Canada. For others, it may mean filing a final tax return in Canada after emigrating to the U.S.
We deal with those reporting the disposal of property in Canada. We handle all these challenges. Ideally, we are involved early enough so some basic technicalities can be covered ahead of time to possibly save taxes and reduce problems down the road. We do not do US Tax Returns nor anything involving the IRS. For US tax matters and advice, we use the CPA firm of Foumberg, Juneja, Rocher and Company, based out of California. 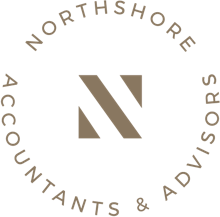 Northshore, in turn, serves as their Canadian Tax Advisor. This working relationship ensures the best coordinated results are brought to the table when required. Our clients require Final and/or Estate Tax Returns. We take care to maximize the after-tax estate value. For those we work with to develop an estate plan, all take comfort knowing they structured their affairs in such a way as to reduce the tax obligations left to their survivors. Some clients have us serve as their Power of Attorney while others get us to be the Executor of their will. In both situations, our clients take comfort knowing its an independent person taking care of their affairs. They feel better knowing their wishes are being followed while reducing emotional stress to a loved one. Split and merged families tend to find this arrangement useful to prevent possible disputes at an otherwise very difficult time for those involved. Beat the rush and book a free initial consultation today! Do you have ties to the United States? Book a Non-Resident Return consultation with Northshore to find out how we can help. A little planning can go a long way. Book your free consultation now - and begin planning for the future. Securely share your personal data using our private-client portal.